Here are also is the latest addition to our home. We now need some MAJOR rug and curtain action! Here is my inspiration picture for the kitchen. YES, I hope to add a bench to the one side of our table. My VERY nice cabinet guy is in the process of building it right now. I really WANTED to buy this amazing bench in the picture below from Pottery barn but it costs $499 and my budget didn't allow for it, sooooo I got creative and found some inexpensive legs online and once again commissioned my cabinet guy to create a look-a-like bench for half the price of the brand name version. ahhhh, I can't wait for everything to come together! Where is that magic wand when I need it!? Your kitchen looks so bright and airy now. And every time I look at your black doors I want my own, badly. love your table! your home is gorgeous! Love it! What colors did you use. Love the lamps! As always your home is WAY cute!! Wow...love your new look. Follow your blog, first time to comment. Looks amazing! You inspire me. Thanks for sharing your home and you. Ok, I'm ready to move into your hallway. Gorgeous! 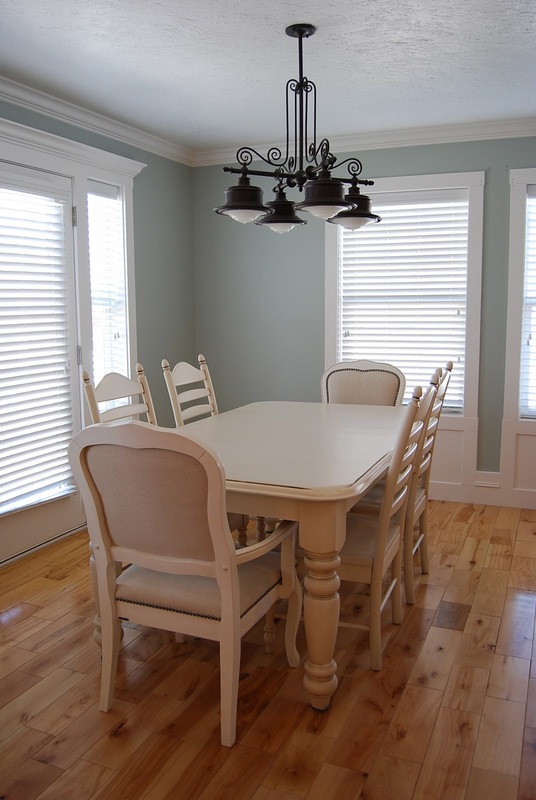 And that dining room....love that light fixture and that table and the trim, yes everything! Looks like a different home! White table is beautiful. You're so bold to put white fabric on the chairs!!! I would die! The kids eat elsewhere I hope. The whole project is coming together nicely. I can never get tired of looking at your pictures! Did you paint your table or did you have someone do it? It is beautiful! Heidi, My sister and I are obsessed with your blog! Basically I think that means we are obsessed with you:) I would like to think that I speak for all your stalkers, keep the pictures coming. I love to see the smallest changes. Beautiful job well done! Just found your blog and love your style! Can I ask what your wall color is?? love it! 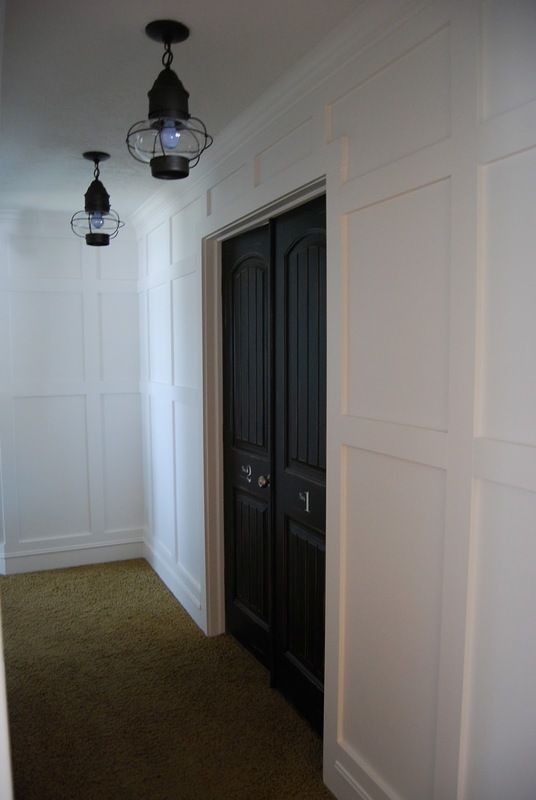 Where did you get your black damask rug in the dining room? i love it!